Honestly, I think the name of this dish is a little silly. But here it is, baklazhannaya ikra. Eggplant caviar. Suggesting some luxury where there is none. Fancy stuff for the poor. Which is unfair, because this dish is really great in its own right. Eggplant is one of the favorite summer vegetables in Russia. By the way, Russian cuisine is still very seasonal. Sure, you can buy fruits and vegetables year round these days, but at a cost that is outside of most people's reach. Oh so different from what we have here in the States, where in one magazine I saw a table telling you which fruit or vegetable is in season when. Russians don't need to consult any tables to know what's in season; all they need to do is go to their garden or to the outdoor market or perhaps to a neighborhood vegetable stand/kiosk. So below is my version of the "caviar." 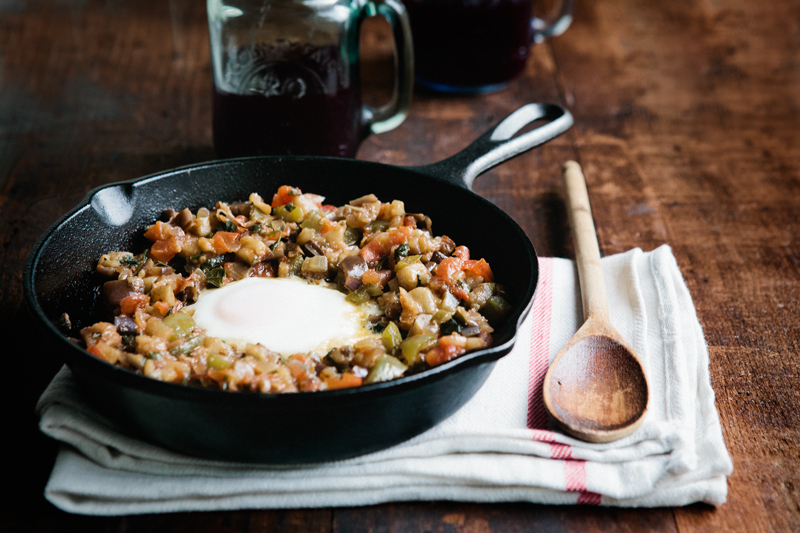 As with almost everything I cook, it is pretty simple and straightforward: you stew some eggplant, tomatoes and bell peppers in a deep skillet and then eat it warm or cold. 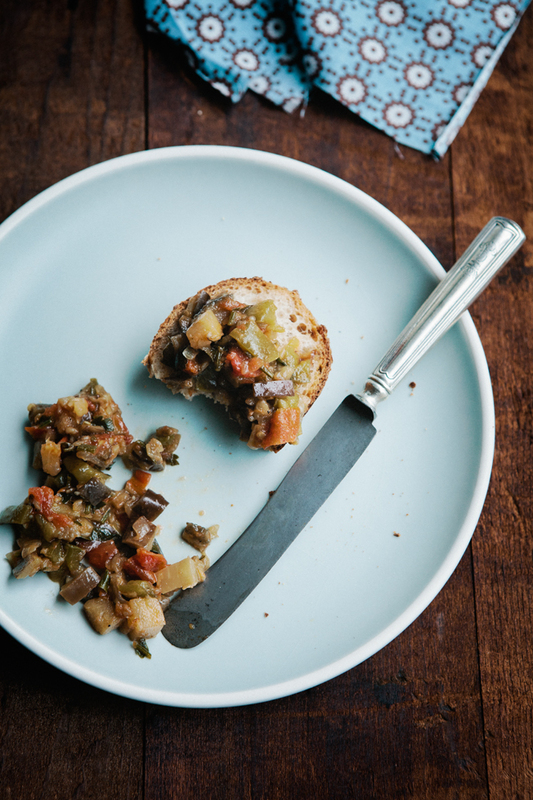 A little reminiscent of Italian caponata, but without its tart "bite." 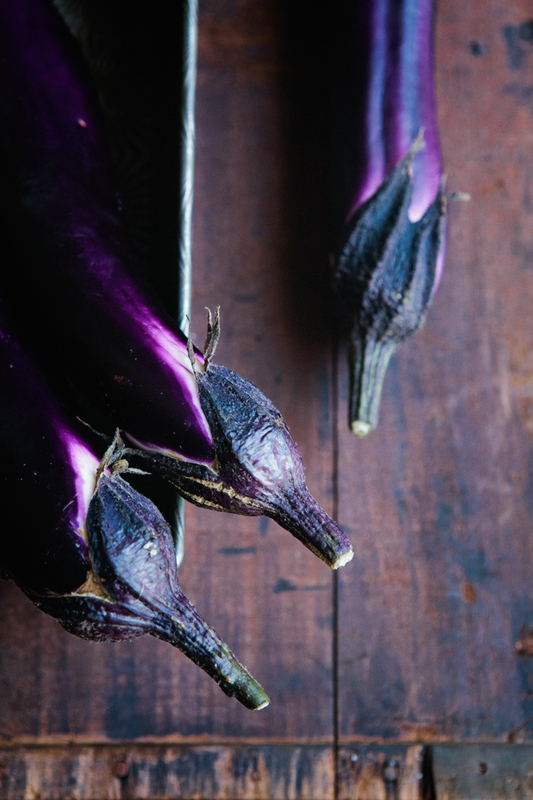 I favor Japanese eggplant because of its tender texture when cooked. And its long shape is so lovely. But regular eggplant will work just as well. My aunt used to crack an egg or two into the almost-cooked "caviar," thus making it a complete protein-and-vegetables meal. I still do it this way. But I also like to eat it on a piece of crusty bread (pardon the cliche). It is fine straight out of the fridge... some would even argue it's better this way. Enjoy. 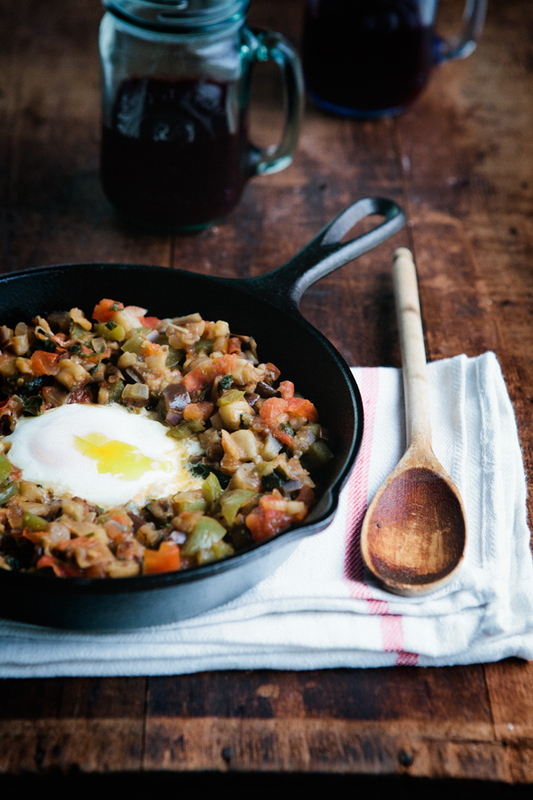 Because eggplant tends to absorb oil like a sponge, it is best to use a non-stick skillet. Heat oil in deep skillet over medium heat. Saute onions until translucent, add garlic and saute another minute or two. Add eggplant and bell pepper, cover and let cook until eggplant is soft but not quite done, about 7 minutes for Japanese eggplant; longer for traditional kind. Add tomatoes, salt and pepper, cover and cook another 5 minutes. Adjust seasoning as necessary, add parsley and cook, covered, until eggplant is fully cooked, about 2 minutes. If you wish to use the eggs, after adding parsley make wells in the "caviar" that would reach all the way to the bottom of the skillet, crack one egg into each well, cover and let cook until the eggs are set. 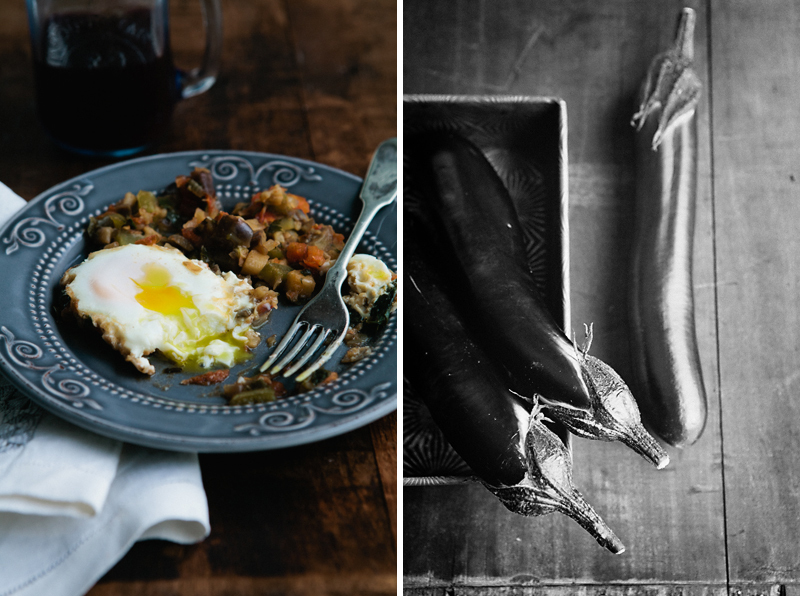 We eat eggplants a lot but mostly the traditional Indian way. Would love to give this a try! I do eat eggplant every time we go to an Indian restaurant. They're the tastiest!